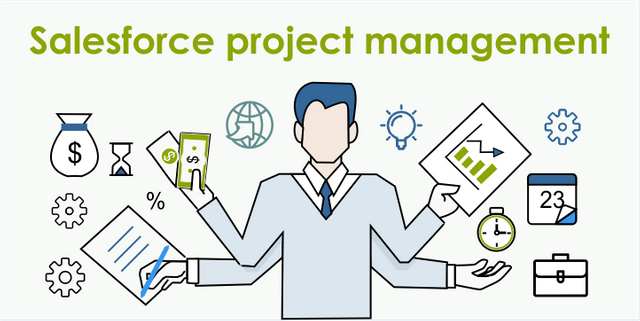 Give yourself the best chance for Salesforce project success! Just over a week ago I attended London's Calling - a brilliant community led Salesforce event, enabling like-minded professionals the opportunity to network and gain insights into some of the latest Salesforce technologies/challenges. London's Calling Volume 3 was bigger and better than its predecessors with more content and attendees than ever before. Topics included: Alexa, GDPR, Lightning, Einstein etc. If you weren't able to go on the day / missed anything through session clashes, I'd recommend catching up via the London's Calling Youtube page, where all sessions will soon be available. One of my highlights from the day was Paul Harris's talk on "Tips for Salesforce Project Success". I'm regularly approached by organisations whose initial implementation hasn't gone to plan, often costing them time and money. If you're at the beginning of your implementation, or having problems with your existing projects, I'd recommend seeking out Paul's video when it goes live. Until then / if you don't have time, I've summarised a few of the key take-aways from the session below. 1. Consider the language you're using across the business and ensure that everyone is using the same terminology. Words such as 'lead', 'prospect' and 'opportunity' can mean different things to different people. Also, appreciate you'll often be addressing a non-technical audience so avoid technical terms and acronyms. As Paul aptly summarised: 'doing this will help understanding, promote engagement and drive adoption'. 2. Ensure that peoples skills are utilised appropriately and play to their strengths - is a developer best used doing requirement gathering and user stories? A project manager on both sides can help manage people and get a clear handle on who you're dealing with, who's involved and what they can do. 3. Understand and document the process - there's a difference between what people say and what they do. Walk people through the process and validate what they say / have documented is what actually happens. Gone are the days where the majority of employees have one job for life so it's important everyone (new and old) grasps 'this is how we do things' - it also makes handover a lot easier! 4. Don't neglect data. Start thinking about data early in the process and ask questions such as: What data are we going to migrate? How are we going to migrate the data? What tools do we need to migrate the data? Paul recommended a data cleanse pre-migration - there's no need to take all data with you as it will clutter the new system and make the migration more complex - 'if people don't trust data, they don't trust the system'. 5. Be flexible to Change. Whilst wise to build a broad project picture at the start, implement small changes. As the project progresses, it's likely requirements will change - be open-minded and continue to evolve your thinking to adapt to these changing demands. I'm sure none of these are groundbreaking new tips but, if your Salesforce project is failing, you could do worse than to read the above / watch Paul's video!